For Kocher, life in Iraq is agony. The Yazidi woman and her children were enslaved by the "Islamic State" for two years. Booby traps and unexploded bombs are hampering reconstruction in Mosul's Old Town, a year after liberation from IS. Aleppo's soap industry collapsed during the Syrian civil war. Now it's making a comeback. Israel's attorney-general accuses Prime Minister Benjamin Netanyahu of bribery, fraud and breach of trust. Thai immigration officials have said they will not expel an 18-year-old Saudi girl fleeing her family after she barricaded herself inside a Bangkok airport hotel. 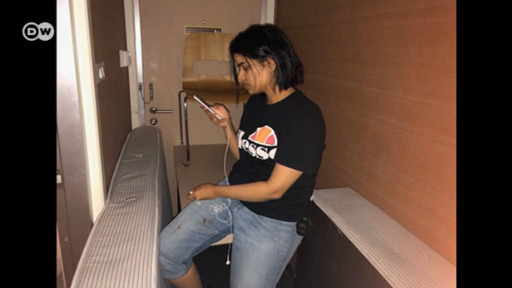 Rahaf Mohammed Alqunun is using social media to draw attention to her situation. As Europe, under pressure from US President Donald Trump, seeks solutions to take back its citizens drawn to the "Islamic State" (IS) group, the Shammar tribe in northern Syria is re-integrating former IS members. Kobane on the Turkish border in northern Syria was the core of the Kurdish revolution in Rojava. DW looks at life inside Kobane, as Turkey continues moving heavy weapons to the Syrian border. In recent years, Saudi Arabia has lifted its driving ban on women and made other strides toward granting women equal rights. But progress is incredibly slow, and lags far behind the rest of the world. Yemen has struggled to cope with crises prompted by its atrocious civil war, including catastrophic hunger and devastating cholera outbreaks. DW examines the conflict and how it affects the country's civilian population.